"Motion is Lotion" is the mantra for this class. Be guided thru simple movements done repetitively to find openness and awareness before entering into yoga poses. Modifications offered and alignment suggestions given so that all may find benefits. 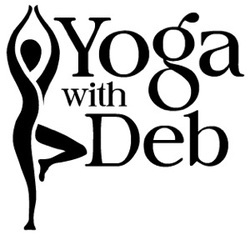 Deb's soothing calm voice will lead you thru a practice being a perfect start to your day. Drop-ins welcome as well punch-cards available for these sessions..
Deb has been teaching yoga for over 10 years in the valley. Her practice started over 15 years ago and has evolved into a much slower mindful practice. Asked what type of yoga she teaches she describes it as a blend of many based on her own personal experiences. Having been a active participant in many disciplines,running/biking/skiing/swimming/hiking/karate, her knowledge base is well rounded. She believes that thru simple slow mindful movements one becomes more connected to their body, finds openness, alignment and better quality of life. She often gets the comment that her calm soothing voice and careful choice of words helps students find the balance of effort and ease as well a clearer understanding of what it is they are doing.